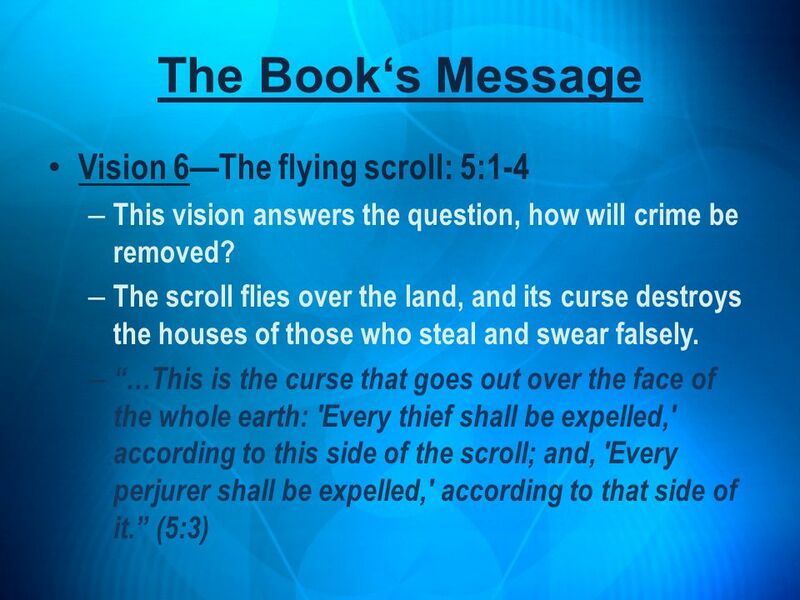 He began prophesying in 520 B.C. 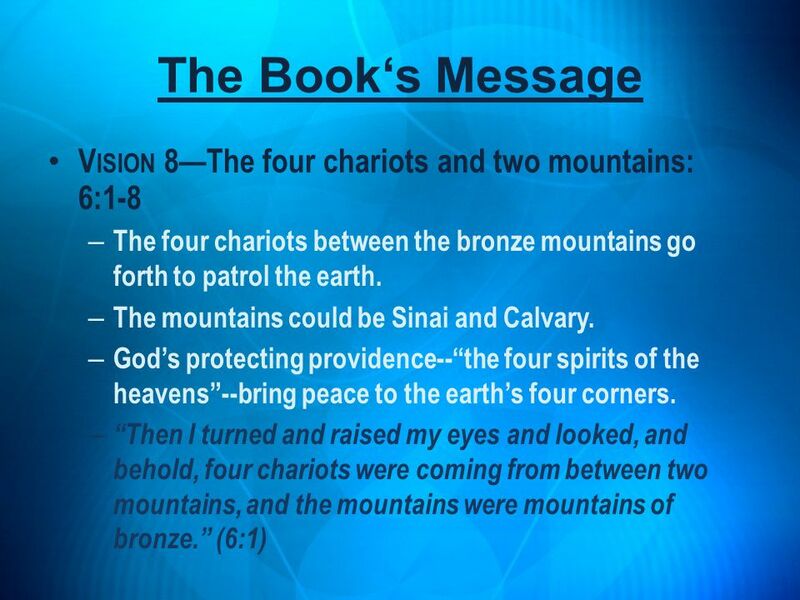 Possibly, chapters 1-8 were spoken at that time, while chapters 9-14 contain prophecies spoken later in his life. 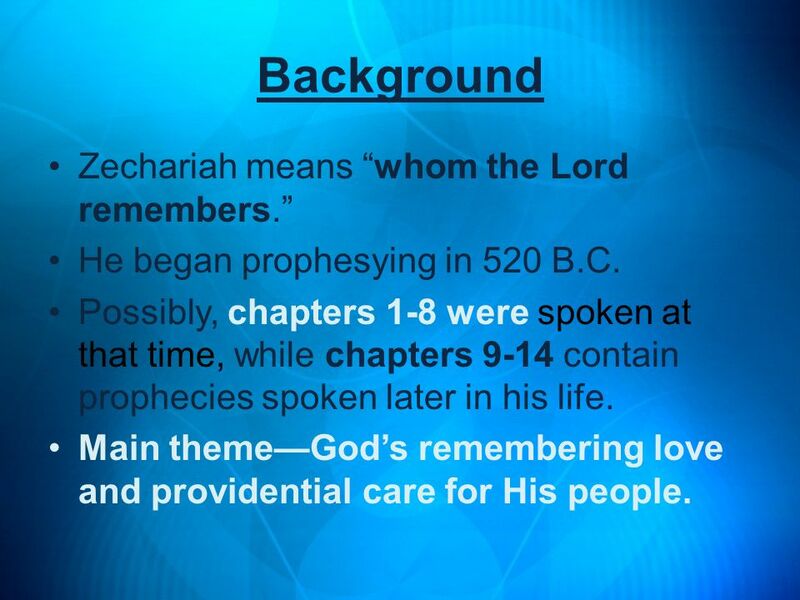 Main theme—God’s remembering love and providential care for His people. 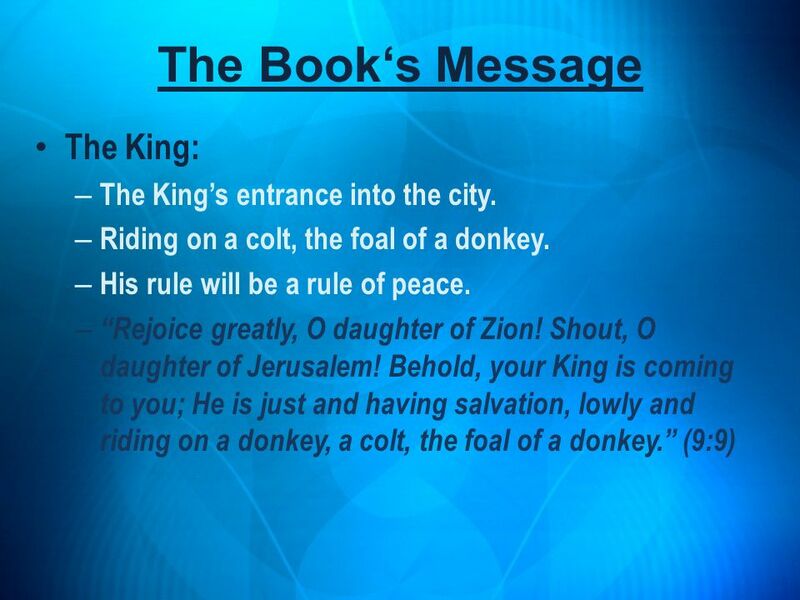 17 The Book‘s Message The King: The King’s entrance into the city. 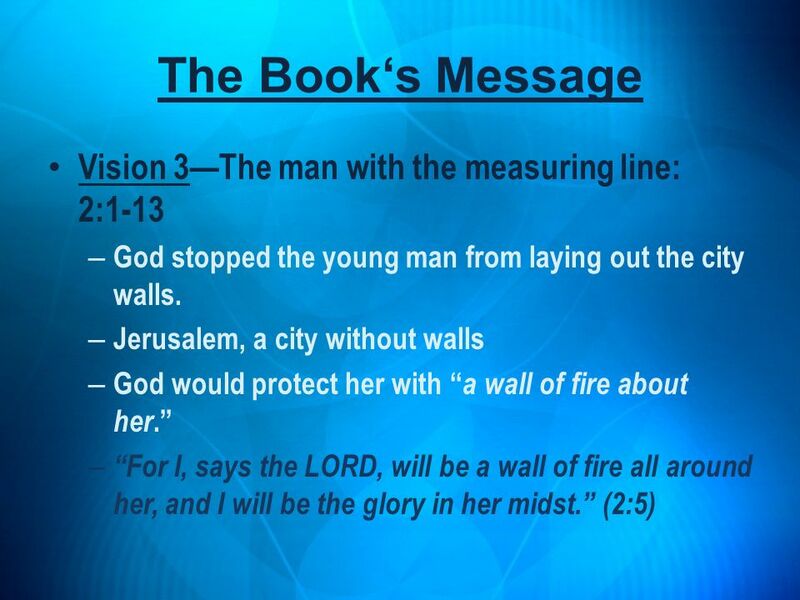 22 Lessons for Us In all that God did throughout the Old Testament, He was looking to greater work under Christ. 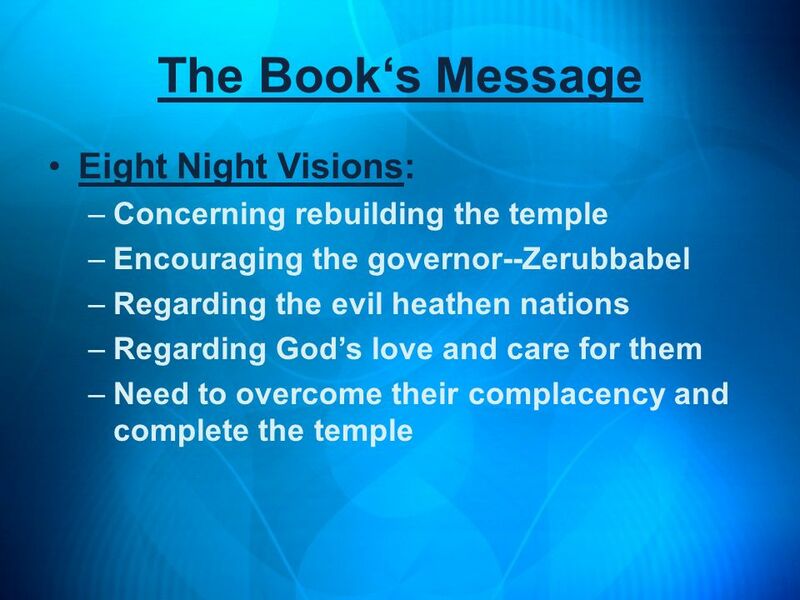 The spiritual temple surpasses the old temple. 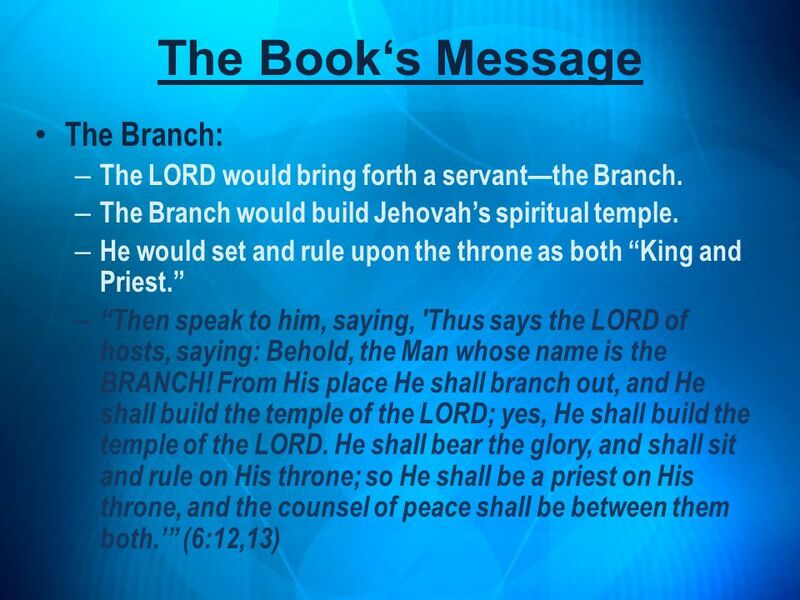 In Christ, both kingly and priestly offices are realized. 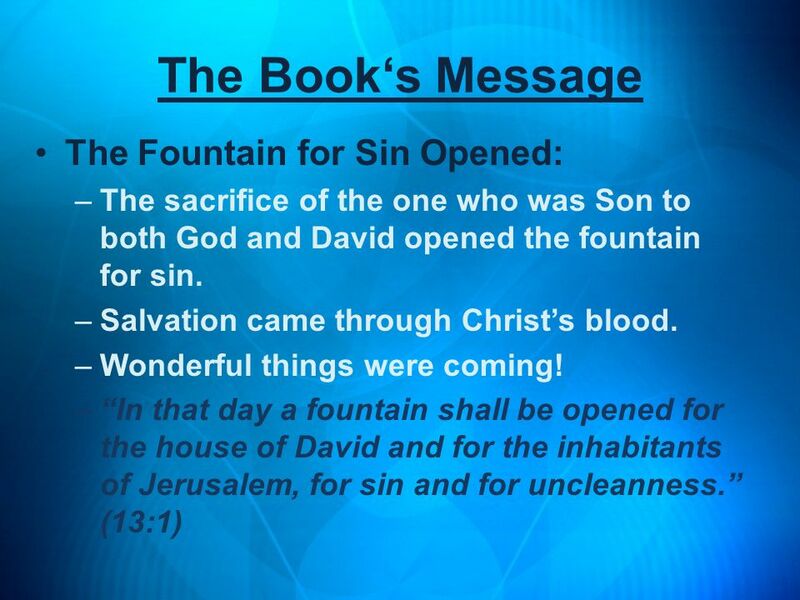 For God to dwell among His people, sin had to be removed from their midst. 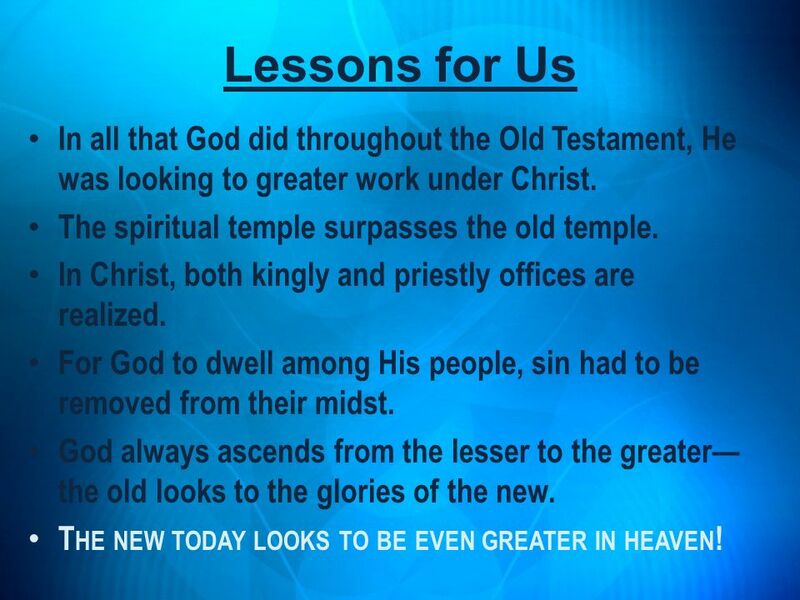 God always ascends from the lesser to the greater—the old looks to the glories of the new. The new today looks to be even greater in heaven! 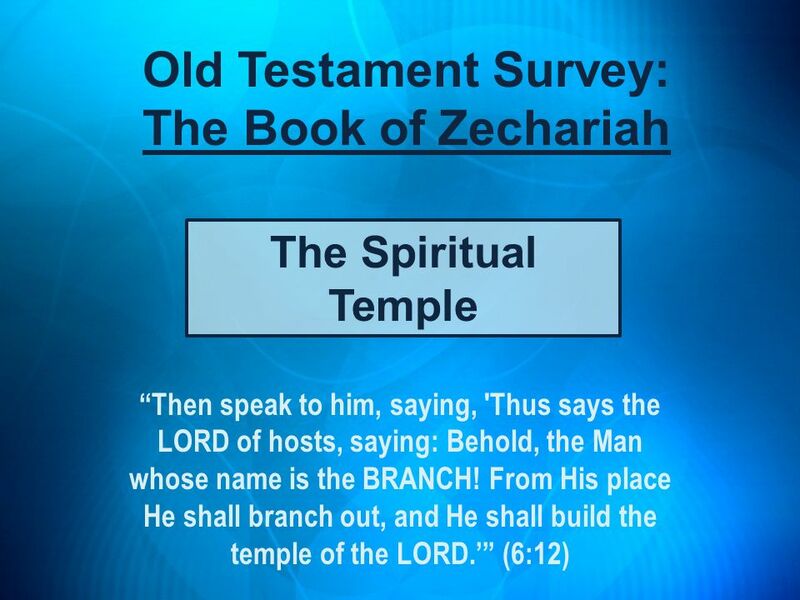 Download ppt "Old Testament Survey: The Book of Zechariah"
WHAT IS SAVING FAITH IN CHRIST? 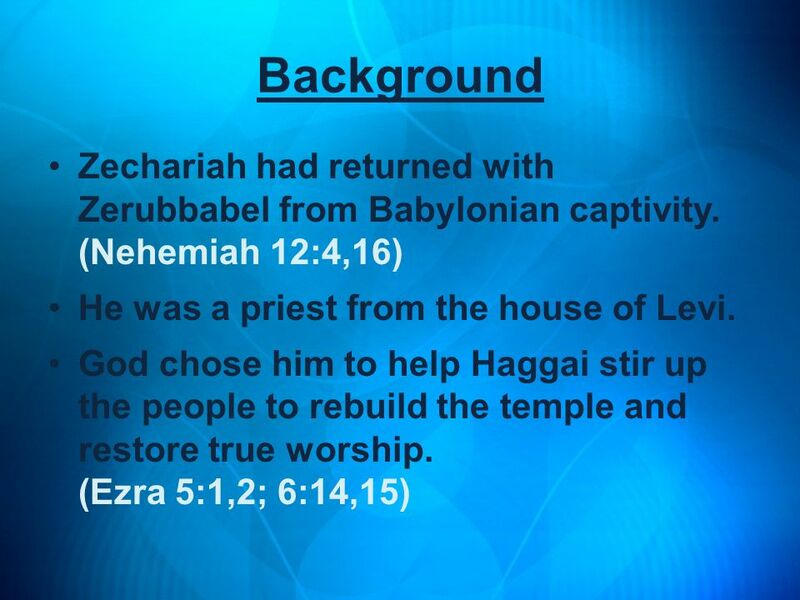 Haggai 1 1 In the second year of Darius the king, in the sixth month, in the first day of the month, came the word of the LORD by Haggai the prophet unto. 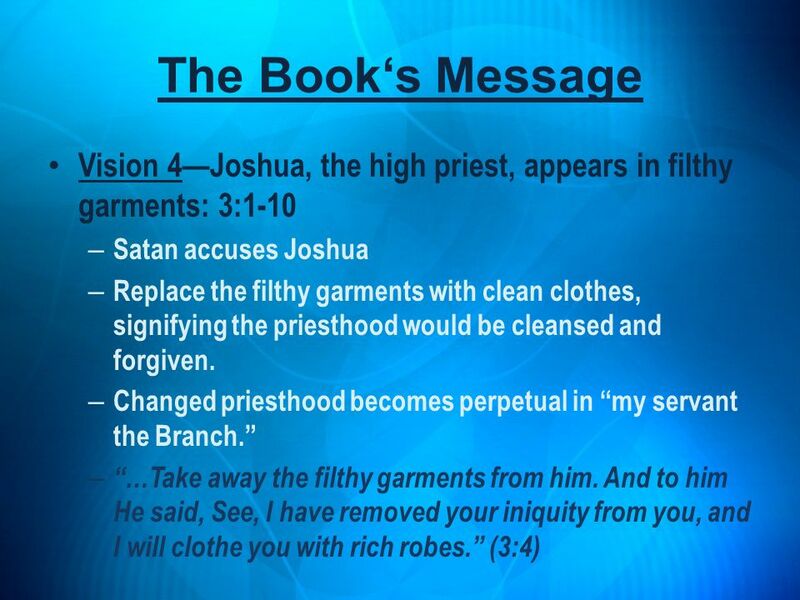 JOSHUA 2: Then Joshua the son of Nun sent two men as spies secretly from Shittim, saying, Go, view the land, especially Jericho. So they went and. 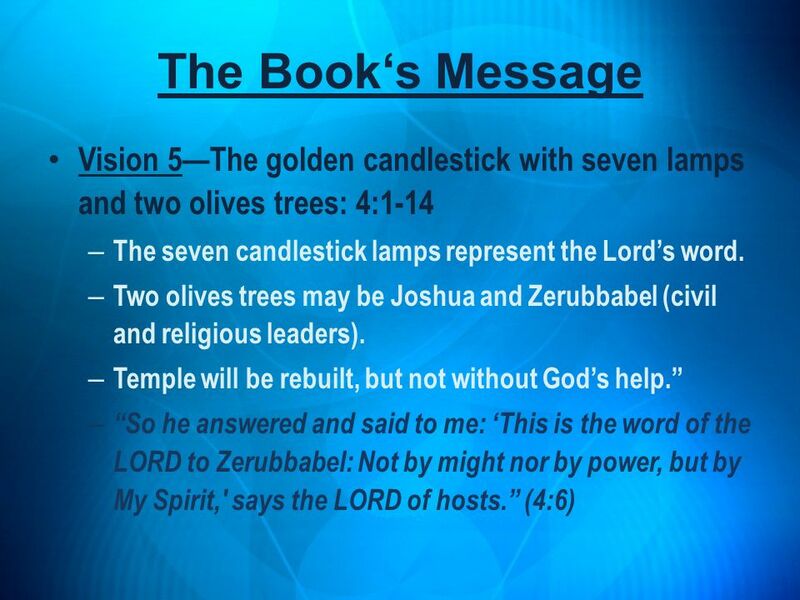 THE CHURCH EMPOWERED BY HIS SPIRIT Model and Mother Church Series: 5 of 11 Zechariah 4:1-14. Is He Your King? 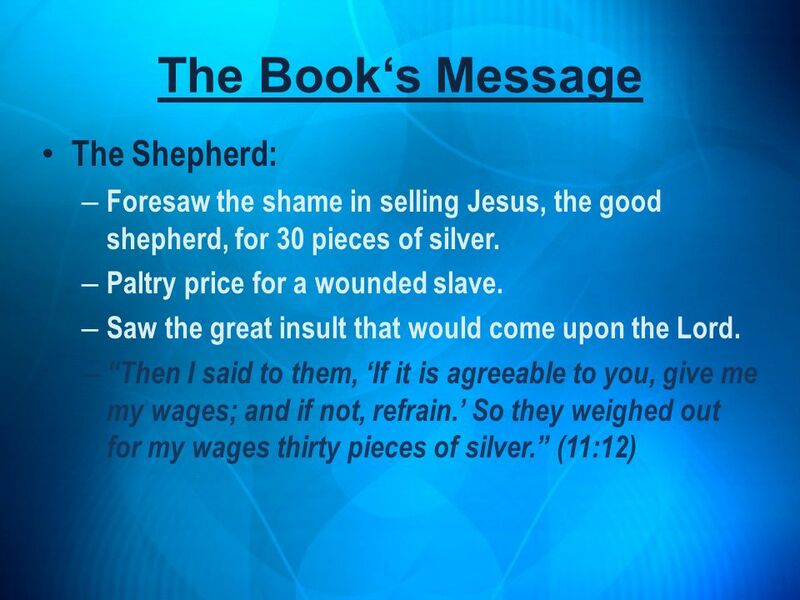 Matthew 21:1-13. 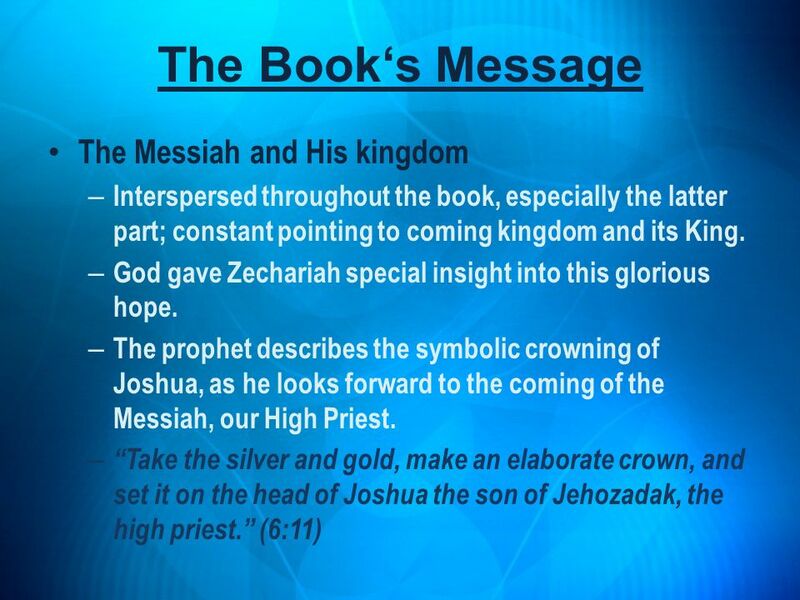 Zechariah 9:9 “Rejoice greatly, O Daughter of Zion! 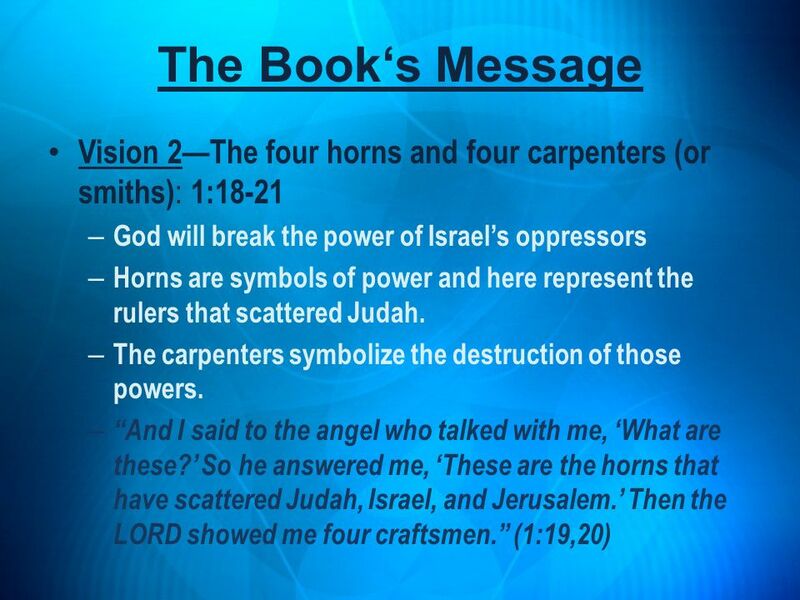 Shout, Daughter of Jerusalem! 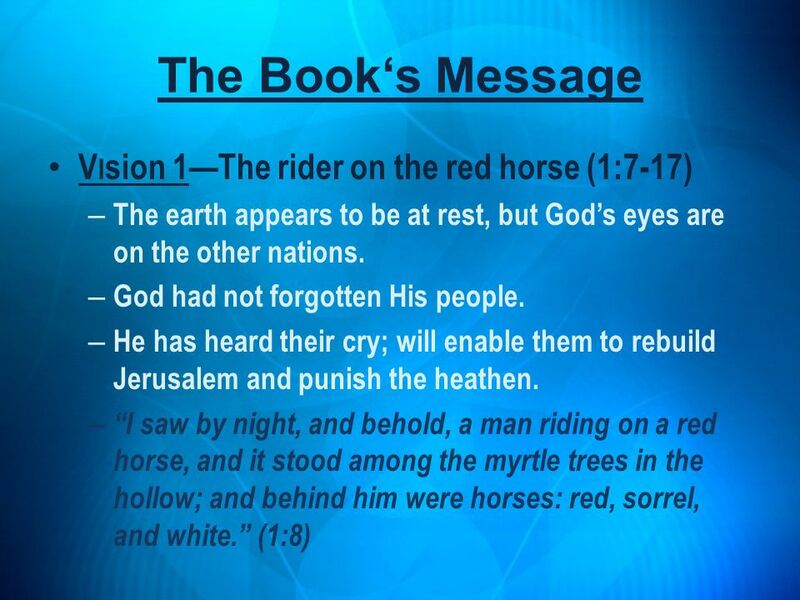 See, your king comes to you, righteous. 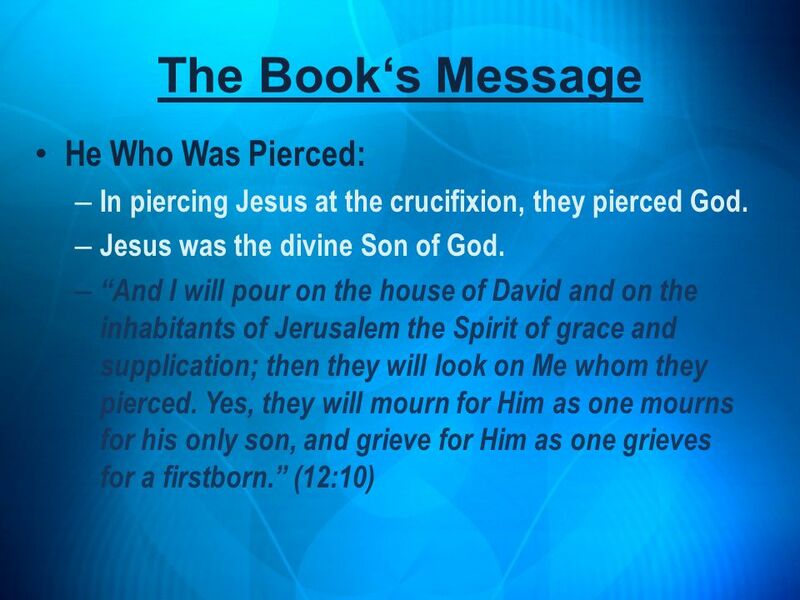 Apokaluyij Iwannou The Revelation to John Session 8. 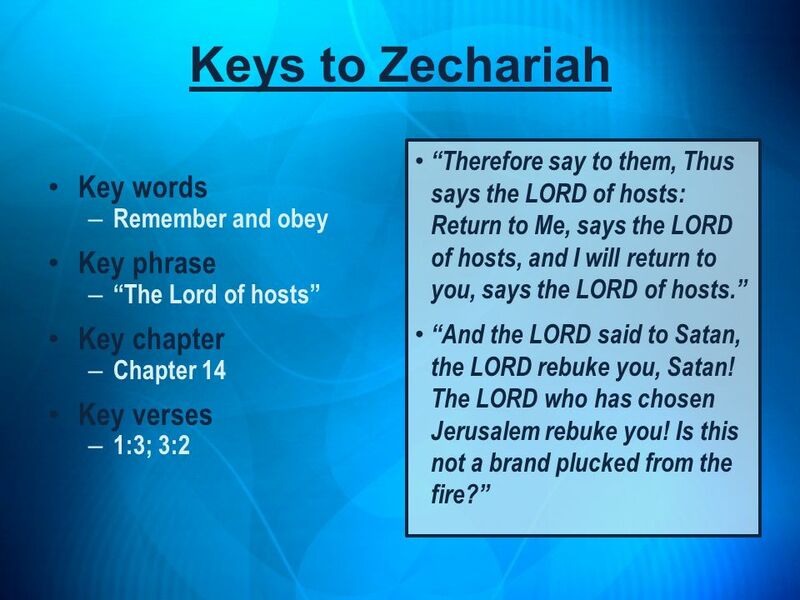 You are purified for His purpose Zechariah 3 Measured for His Purpose: Lessons from the Book of Zechariah. 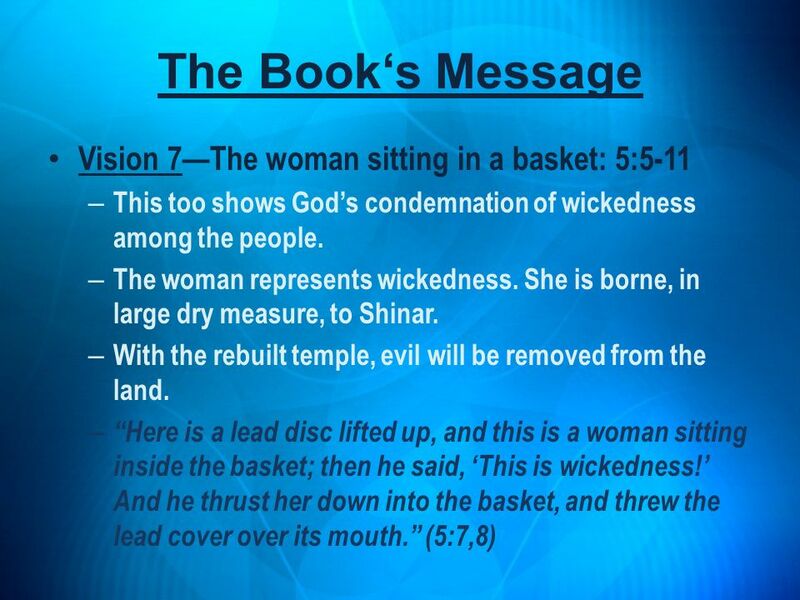 MORE HERMENEUTICAL ISSUES IN OLD TESTAMENT PROPHECY. Coming Out of Exile: Returning to the Promised Land. 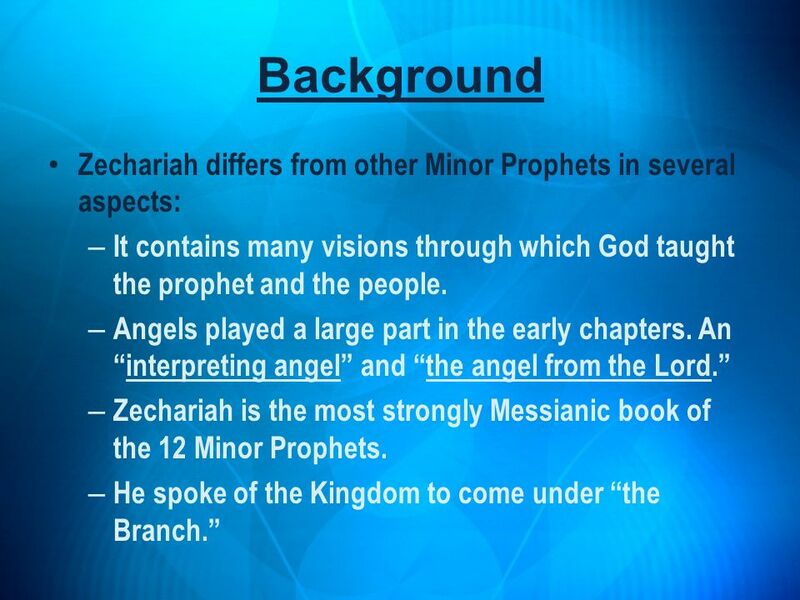 Zechariah By: Corey Hopp, Greg Hohl, and Joey McAsey. The Missing Piece from the Nativity. Revelation 12:1-12 “And a great sign appeared in heaven: a woman clothed with the sun, with the moon under her. 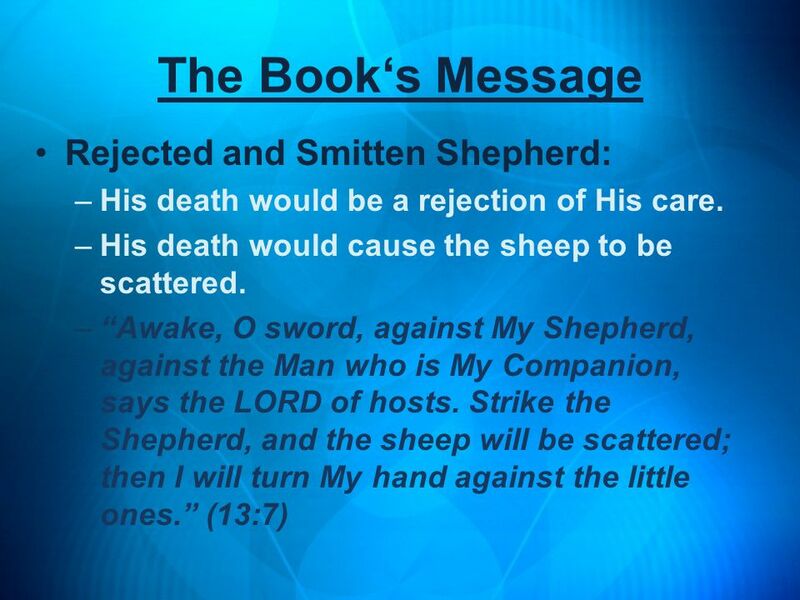 God Dwells with Men John Jesus answered and said to him, “If anyone loves Me, he will keep My word; and My Father will love him, and We will come.